Enter into the Luxurious Newly built Magampura Village Resort to feel a difference experience for your life time. Enjoy the hospitality and the warm welcome of our staff during your stay with us. Elegant Restaurant which will serve any kind of cuisines to your choice. Magnificent swimming pool for a enjoyable swim. Spacious Luxurious Room with panoramic view of the Kataragama mount range. Warm welcome with magnificent service of a highly skilled staff. Arrangement for regional and the round tours can be organized on the request of the client and also airport pickups and drops. The bar and the restaurant will serve any kind of liquor plus delicious dishes. 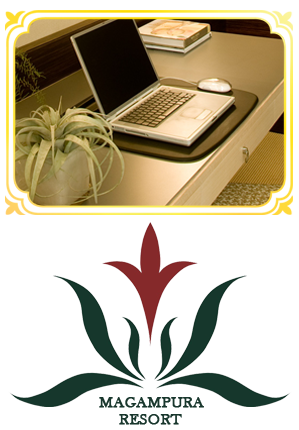 IDD Calls, Internet and Wi-Fi facilities are available for clients.